This Mother’s Day I wanted to pay tribute to not just mums but to recognise inspiring Women collectively. Weather you are a mum or not – you are either a Sister, a Daughter or a beloved friend. I love the message “it takes a village to raise a child” When women work collectively and come together magic happens. 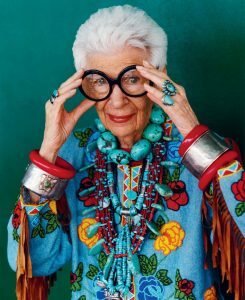 Iris, an American business women who has been entrenched into the fashion world is now well into her 90’s. She has an eclectic style and never felt compelled to conform to fashion trends. I love her daring use of colour and texture and her “more is more” mentality. 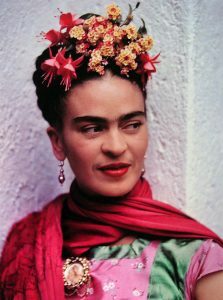 Frida, a famous Mexican artist is largely recognized for her self portraits. I find her style and persona truly inspiring as she endured so much pain and suffering in her life but maintained her passion for life. Her bold use of colour in her outfits and art reflects the passion. It is with a breath of fresh air that I include Meghan into my list of Inspiring Women. Capturing Australia’s attention with a recent visit she has been seeing many Australian labels in her travels. So often Women wear what they “think” is fashionable due to external influences. As a future princess she is owning her own style in a very slick and sophisticated way. Sienna, a model actress and fashion designer is truly stunning. I love her “girl next door” casual style. She has a distinct bohemian or folk style. Her outfits are often played down with boots or chunky jackets. Her style never looks contrived or forced. So there you have it, the Woman I am looking to the Mothers Day paying homage to their unique style and use of colour and texture in their outfits. Also a special mention must go to my own Mum who let wear what I wanted from a very early age. “There was no point arguing” she says!